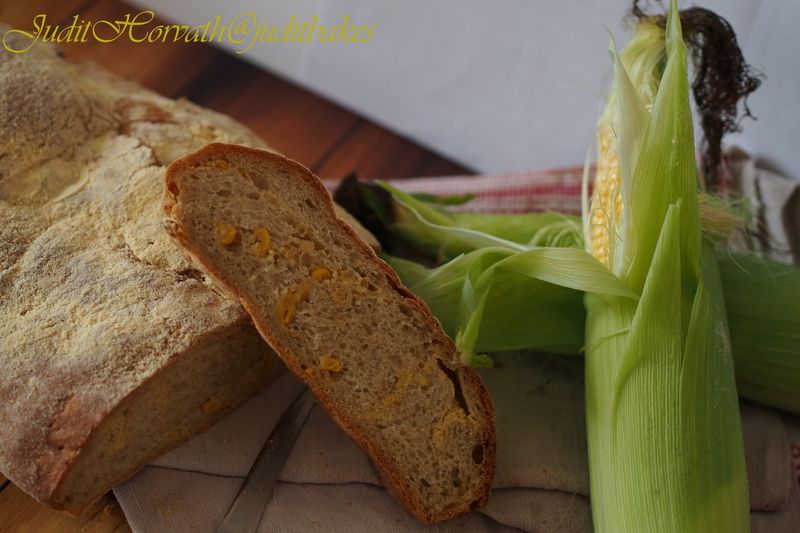 Memory of Field Corn Harvest : A Tasty Golden Cornmeal Loaf | When Judit bakes...bread and better.. I still remember corn harvest. Among rows and rows of tall, skinny golden brown plants offering their best produce of curvy, sunset-yellow corn ears, the explorer picker had led the way and the collecting tractor followed. 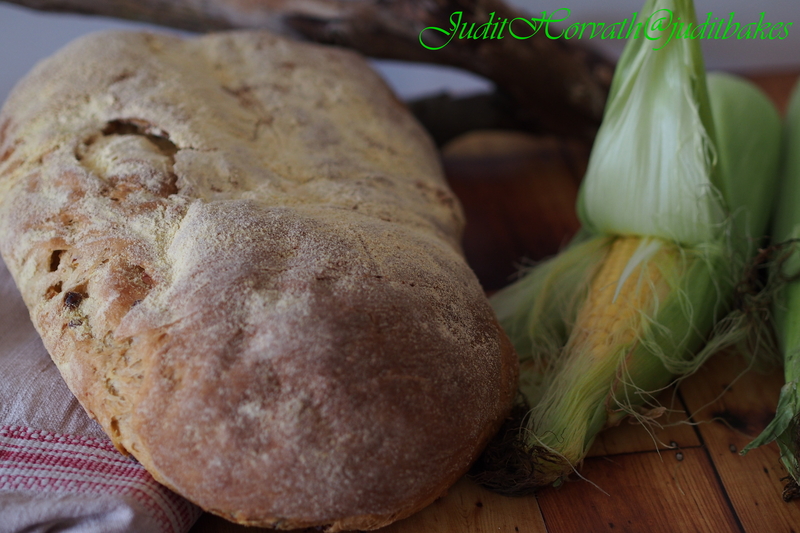 It was not corn the farmers would have eaten but it ensured food for their beloved farm animals. The old fashion harvest had made the farmers truly appreciate the fruit of a year’s hard work. 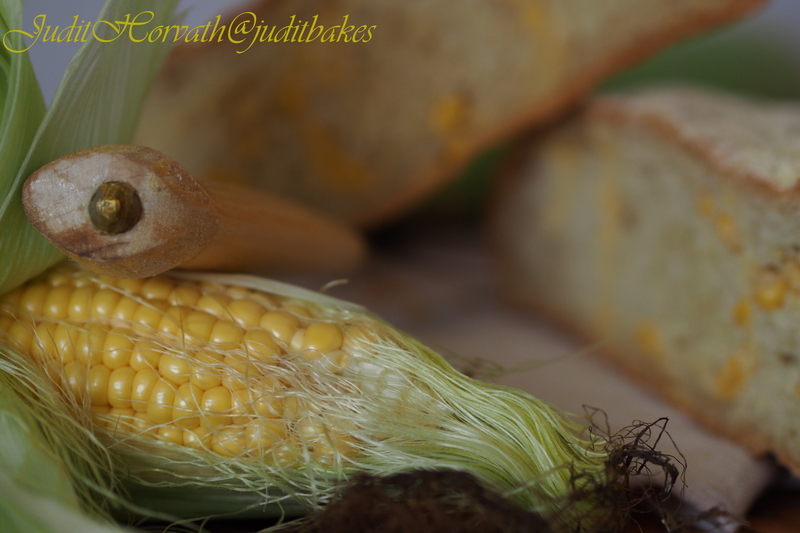 Harvesting corn is a matter of picking the ears at their peak quality. Corn is ready to be picked as soon as the ears have completely filled out and the silks dried up. When field corn (as opposed to sweet corn or ensilage corn) is ready for harvest it looks completely brow and dry. 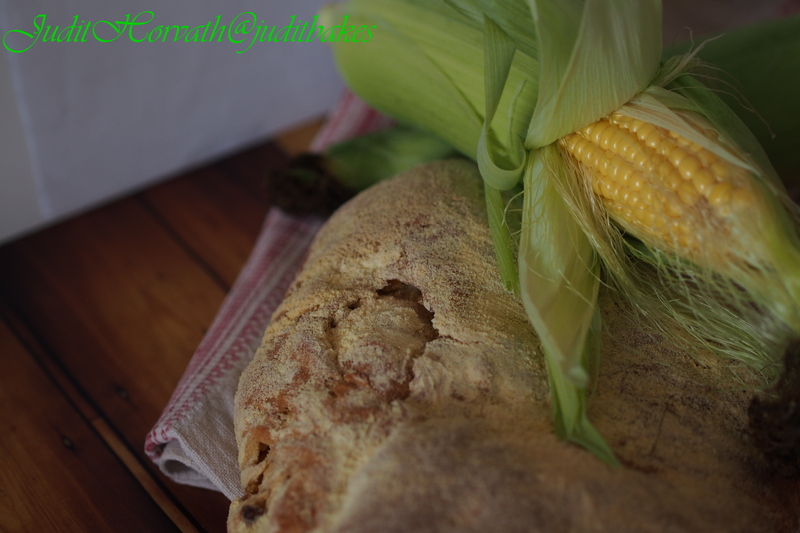 The moisture in the corn needs to drop, meaning leave the cob, the stalks and leaves to a proper level so it won’t mold. Some farmers in my grandparents’ village used to begin harvesting corn by mid-September, but most of the harvest was likely to take place in October. 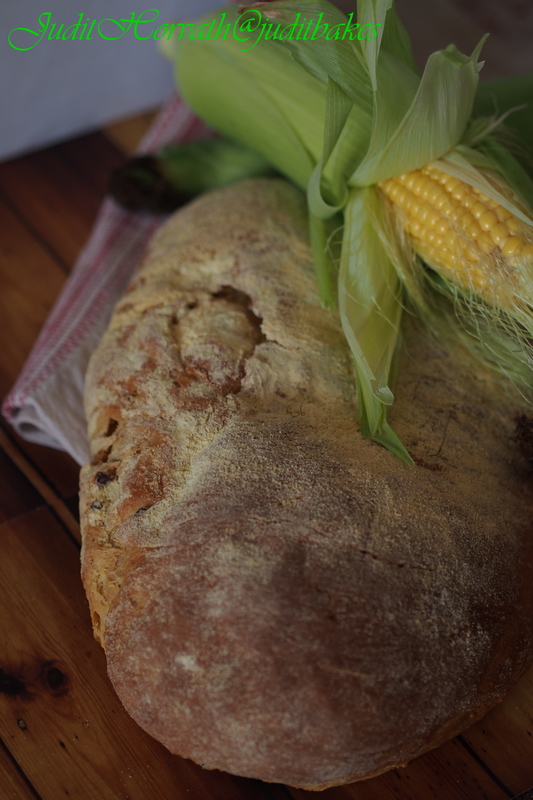 In a cool year, when the corn had matured more slowly, crop wasn’t harvested until November. Harvest times varied a good deal, and farmers new about the plans of all others in the village. Even when plants were physically mature, farmers used to wait to harvest them until corn kernels have dried further so that the corn could be stored for longer periods of time. After all the kernels were collected on the field, we traveled home and in a logically ordered line filled wicker baskets full of corn and neatly stored it in the attic, ready for the winter. There was a smooth, peaceful rhythm of life and harvest on my grandparents’ farm. There was no rush, no argument, but there was, indeed, hard work. Everything was home-made, everything was original and proper, everything was used and everything was respected. 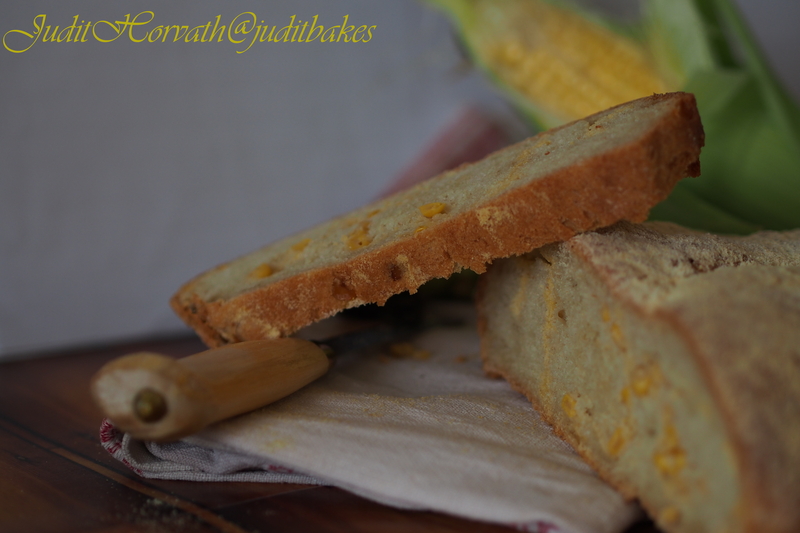 My corn loaf was created in honour of their farming knowledge and their true love of the world around them. In a large bowl, dissolve yeast in some of the warm water. Add the cornmeal, milk powder, butter, sugar, salt, half of the flour and remaining water. Beat until smooth. Stir in enough remaining flour to form a soft dough.Turn onto a floured surface; knead until smooth and elastic, about 10 minutes. Place it in a bowl coated with oil, turning once to coat top. Cover and let rise in a warm place until doubled, about 1 hour. 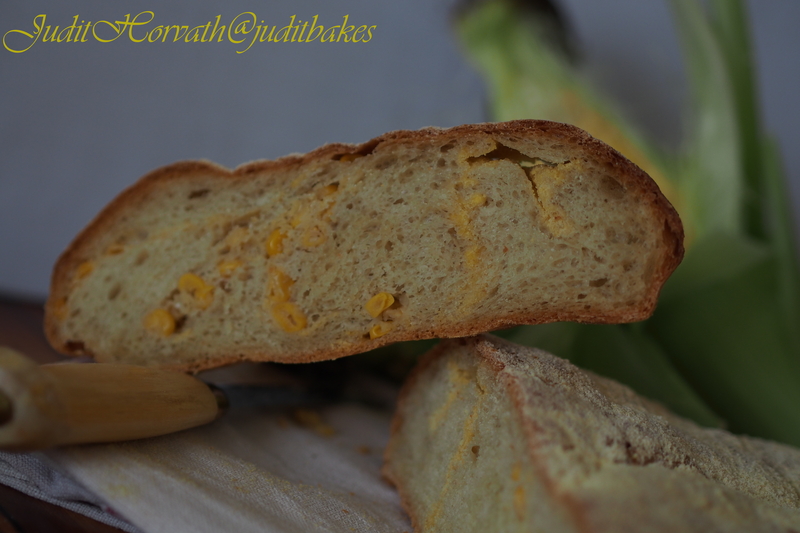 Punch dough down; shape into a loaf, place it on a baking tray. 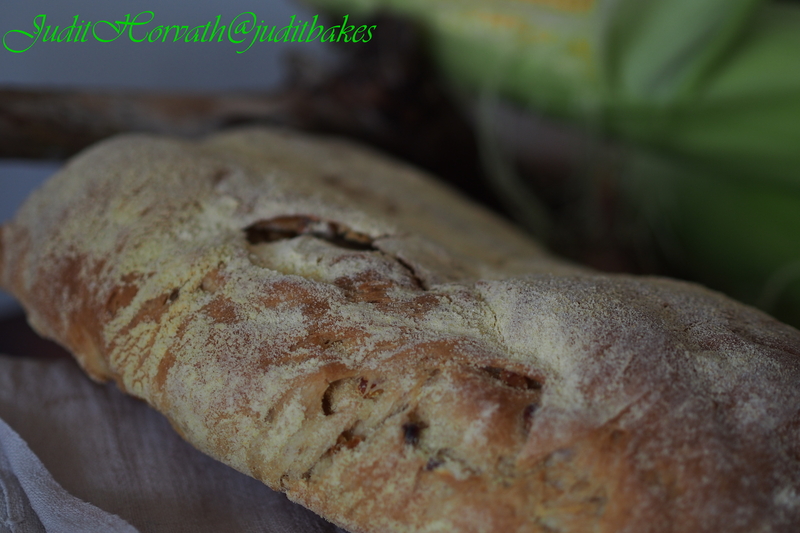 Cover and let rise until doubled, about 30 minutes.Bake at 220 degrees C for 35-40 minutes or until golden brown. Remove from pan to a wire rack to cool. 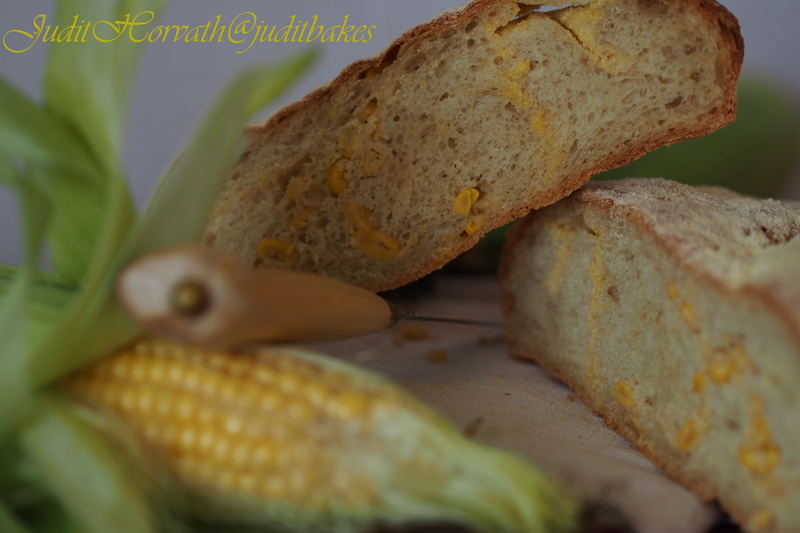 This entry was posted in Bread, Flavoured breads, Just Everything, Savoury bakes, Special flours and flavours, Treats for Life, Yeasted bread and tagged corn kernels, dry milk powder, food, grandparents village, vegetarian. Bookmark the permalink. 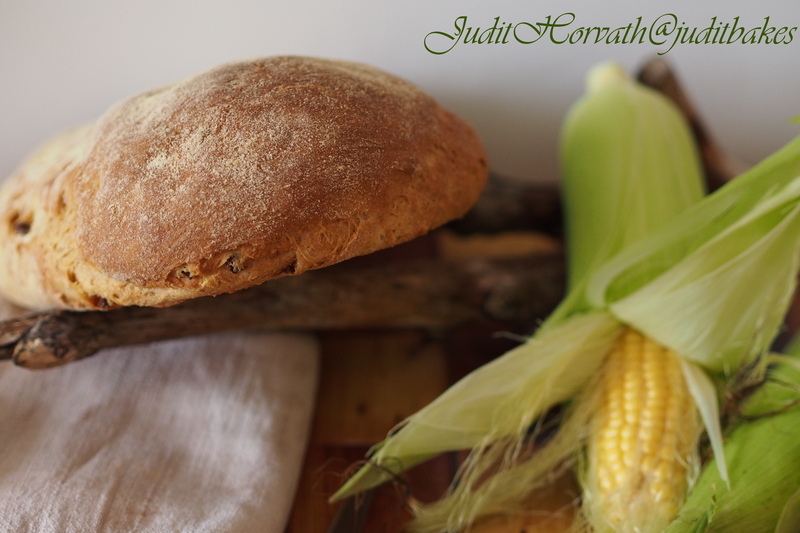 Another beautiful post, and a great tribute to your ‘home.’ Wonderful Judit.